After consecutive defeats to three top-six clubs in September, Sunday’s home meeting with Burnley represents an opportunity for Cardiff City to claim a first win of the season. The nature of this contest suggests this should be the type of encounter that suits them. It is a match between two teams who built in similar ways: fast-paced and physical, with reduced emphasis on possession. For Cardiff to prevail, Joe Ralls will need to produce an influential performance. Industrious and full of determination, he is the driving force of Cardiff’s midfield. Ralls has covered 66 kilometres this season, topping the Cardiff player distance charts in five of their six Premier League matches. He has also made an impact with and without the ball. Winning possession on a frequent basis, and then using the ball productively, the 24-year-old has been one of Neil Warnock’s shining lights in the early stages of 2018/19. 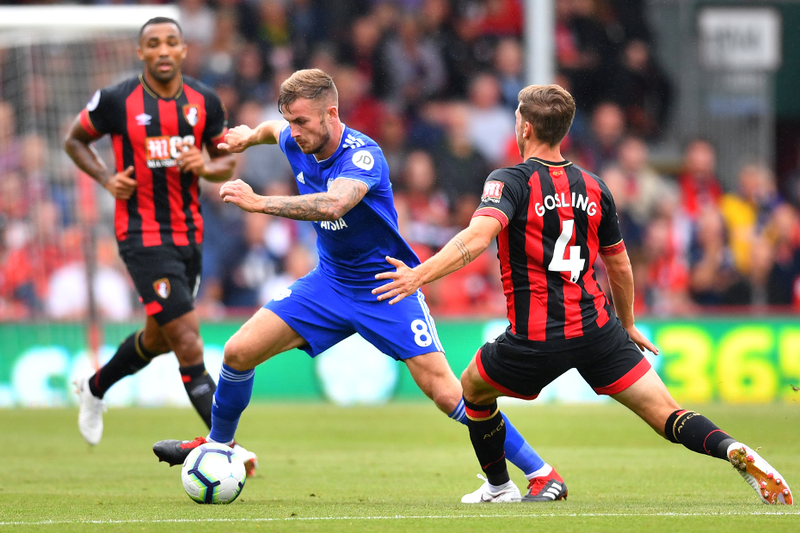 If his all-action game fires on Sunday, Ralls can help Cardiff assert their authority against a Burnley side who conceded 30 shots on goal in their last away fixture at Wolverhampton Wanderers. In the Championship, Ralls was not solely regarded as a hardworking ball-winner. He was a composed, goalscoring midfielder with a fabulous left foot. Due to a difficult set of opening fixtures and a change in demands placed upon him, we have yet to see the latter aspect of his play come to the fore this season. His passing accuracy is a modest 62.2 per cent and no Cardiff player has squandered possession inside the middle third more often than Ralls this term. He has also had just two shots on goal. However, in matches where Cardiff get on the front foot, don’t be surprised to see Ralls burst into the penalty area to make an impression. He scored seven goals last season, with four coming from the penalty spot, and can be a neat and tidy distributor. As he and Cardiff adjust to Premier League life, the more creative side of Ralls’ game will begin to resurface. For now, though, he has an important job to do against Burnley. If Ralls can dominate his direct counterpart, Ashley Westwood, in what promises to be a competitive duel, it could pave the way for Cardiff’s first victory of the season.